12 x 6 Junior Multi Goal tension bar set. One set consists of 2 item 7's and one item 9. 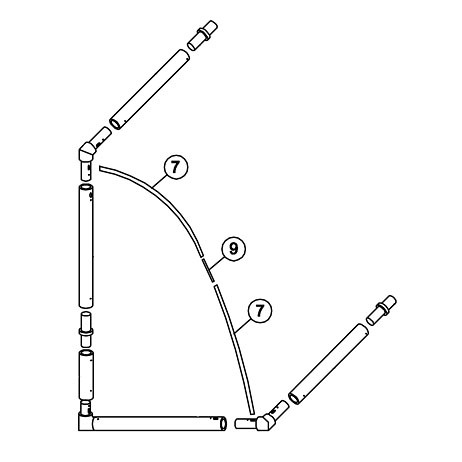 NOTE: Each goal has 2 sets of tension bars - these tension bars are straight bars which have to be bent into place. NOT SUITABLE FOR 12 X 6 MATCH GOALS.